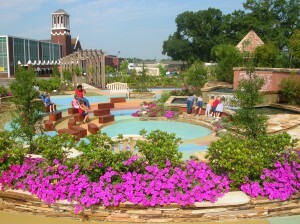 Cecil Traylor Wilson Gardens provide a great place to relax just off the downtown square. Home to the World Champion Steak Cook-off, Magnolia is the county seat of Columbia County and has a population of approximately 11,489. The annual Magnolia Blossom Festival brings thousands to town each May where arts and crafts, music, and the World Championship Steak Cook-off provide a weekend of fun. Founded in 1853, the city’s early years relied heavily on farming as the chief economic resource. In March 1938, everything changed as oil was discovered just east of the city. The Magnolia Oil Field was the largest producing field by volume in the nation during World War II. Oil and other natural resources still drive the economy of Magnolia today. The downtown square is filled with locally owned shops and restaurants and is a great place to spend a few hours during your visit. Magnolia has a rich tradition of supporting the arts. 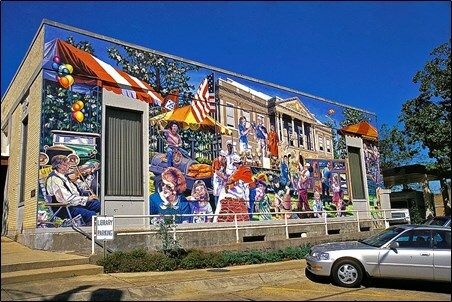 Not only are cultural events available through Southern Arkansas University’s music and theatre programs, but activities are also available through other community organizations. Magnolia Arts operates a center on the downtown square and offers community theatre and other events throughout the year. Two U.S. highways cross Columbia County U.S. 82 which spans the entire state through the southern-most counties. Columbia County will one day be part of the Interstate 69 corridor. The South Arkansas Regional Airport at Goodwin Field provides general aviation services to the region. The airport is also served by SeaPort Airlines as an Essential Air Service. The runway measures 6,601 feet. Magnolia Public Schools serve approximately 3,000 students in grades kindergarten through 12, with a student-to-teacher ratio of 16-to-1. Over half of each graduating class enters college immediately after graduation. For more information, visit the City of Magnolia’s website.